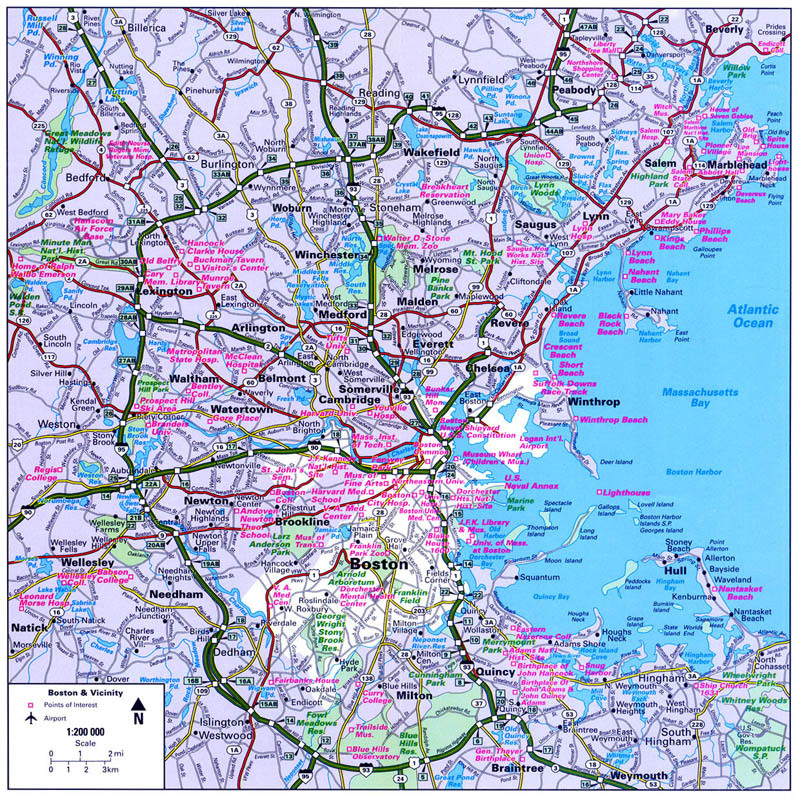 Randal Birkey created this Boston Vicinity Map as a part of an entire new map product line for Rand McNally in 1989. This product series called CityFlash Maps was the first product line offered by Rand McNally and European partner Hallwag, produced completely digitally on desktop computers. Randal and his team used Apple Macintosh FX and CX computers running then current versions of Aldus Freehand and Adobe Illustrator. The digital vector Postscript files were supplied to Rand McNally’s printer, and converted to 4-color process film (CMYK) and plates, then used for 4-color offset printing. For each city, Randal and his team produced additional maps including street level detail maps including points of interest, public transportation maps, and shopping area maps. 5 US cities were completed as a part of the CityFlash product project: Chicago, New York, Boston, San Fransisco and Washington, D.C.